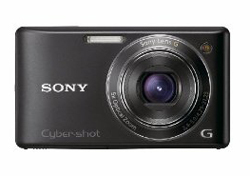 CNET UK has reviewed the Sony Cyber-shot DSC-W380 compact digital camera. This small camera from Sony has over 14 megapixels and a wide angle lens with 5x optical zoom. CNET UK ends up giving the Sony Cyber-shot DSC-W380 a good review with an overall score of 8.5 points out 10 possible. The reviewer likes the design on the camera and find it to take pictures of high quality. The W380 also has a lot of good features and fast autofocus. There are a few downsides like cumbersome menu systems and the panorama mode could be better, but overall this Sony camera seems like a good choice. Read the full review of the Sony Cyber-shot DSC-W380 digital camera here.